Hi, this is my newest mod project, the Ancient Woman Mod, which tries to improve the variety of female politicians in Rome II Vanilla. For roman, italic and hellenistic women in all campaigns 10 rekinned or new female politician-variantmeshdefinitions. 10 reskinned or new ptolemaic politicians / generals in GC or IA. Last edited by Clodia_Metelli; March 23, 2019 at 09:58 PM. They're all so mean & evil looking. The idea is great, but you should join Benjin as he's doing a similar job but from 0. @LEXI2016: Thank you very much. @Tenerife_Boy: Benjin is undoubtly doing an very impressive job with his mod, but i'm personally completely content with only a little more variety in campaign characters. A completely new visual level up system for generals is not my personal aim. Last edited by Clodia_Metelli; January 12, 2019 at 09:33 PM. Last edited by Clodia_Metelli; January 13, 2019 at 02:59 PM. Last edited by Clodia_Metelli; January 25, 2019 at 06:03 AM. Hello Harley_Quinn, nice work! I think the ancient women would have appreciated it. I have a question: this mod should only be for the vanilla version of the game or it will be compatible with other global mods such as DEI for example? Thanks. it is only compatible with Vanilla, as DeI has completely new variantmeshdefinitions and datatables. Last edited by Clodia_Metelli; January 27, 2019 at 10:24 AM. Last edited by Clodia_Metelli; January 29, 2019 at 06:30 AM. Those mythological figure could probably be the reason, why the Harii painted their body black. They tried to use the fear of the death godess. Reskinned/ added new in total 10 female general/statesman characters for germanic tribes. Last edited by Clodia_Metelli; January 30, 2019 at 09:59 AM. The ladies look really great, I admire your dedication with so limited options in regard of head model, though different apparel, makeup, hair and color adds lot to much needed variety. 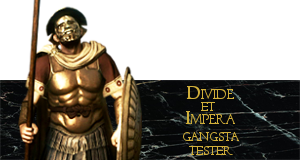 I always wondered was it possible to import some of the faces from Attila in Rome 2? Thank you. I think there are some mods in the workshop, which imported the Attila faces in the past, but personally i don't like the faces. In summary 11 reskinned or new added female noblewomen. Last edited by Clodia_Metelli; February 02, 2019 at 02:01 PM. Last edited by Clodia_Metelli; February 03, 2019 at 03:06 PM. Last edited by Clodia_Metelli; February 06, 2019 at 01:49 PM.